Involvement of community partners in the structure and design of services is largely accepted in principle, but its practice is heavily contested. 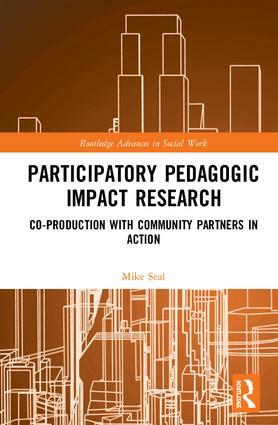 This book argues that the co-production of research is one of the best ways to involve community partners. As well as having intrinsic value in and of itself, research embeds a culture of learning, co-production and of valuing research within organizations. It also creates a mechanism for developing evidence for, monitoring and evaluating subsequent ideas and initiatives that arise from other co-production initiatives. The book makes a case for research to be a synthesis of participatory research, critical pedagogy, peer research and community organizing. It develops a model called Participatory Pedagogic Impact Research (PPIR). Participatory research is often criticized for not having the impact it promises. PPIR ensures that the issues chosen, and the recommendations developed, serve the mutual self-interest of stakeholders, are realistic and realizable. At the same time this approach pushes the balance of power towards the oppressed using methods of dissemination that hold decision makers to account and create real change. PPIR also develops a robust method for creatively identifying issues, methods and analytic frameworks. Its third section details case studies across Europe and the United States of PPIR in action with professional researchers’ and community partners’ reflections on these experiences. This book gives a unique articulation of what makes for genuinely critical reflective spaces, something underdeveloped in the literature. It should be considered essential reading for both participatory research academics and those involved in health and social care services in the planning, commissioning and delivery of services. Mike Seal is Head of Criminology and Youth and Community Work, and a reader in Critical Pedagogy at Newman University Birmingham. He has worked in the social care field for over 25 years as a worker, manager, trainer and consultant. He has written seven previous books including Not About Us Without Us: Client Involvement in Supported Housing, as well as over 30 articles in professional and academic publications. He has conducted 25 major funded pieces of research, all of which were grounded in participatory approaches. He has spoken at more than 80 worldwide academic and professional conferences on co-production and participatory research, and conducted over 25 major pieces of consultancy work in the area.